Idly is one of the staple food in south india, especially in tamilnadu. 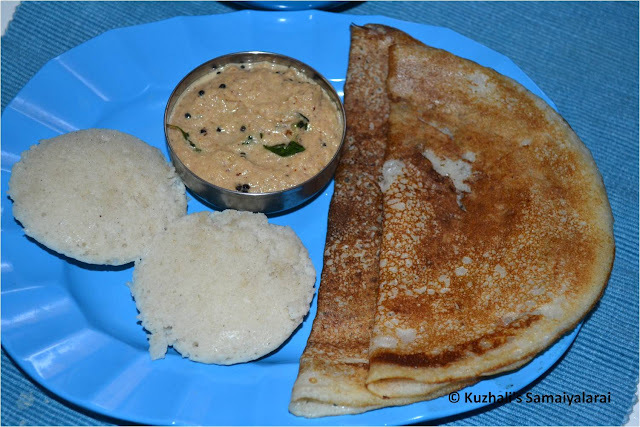 Most of our breakfast will be idly/dosa only. 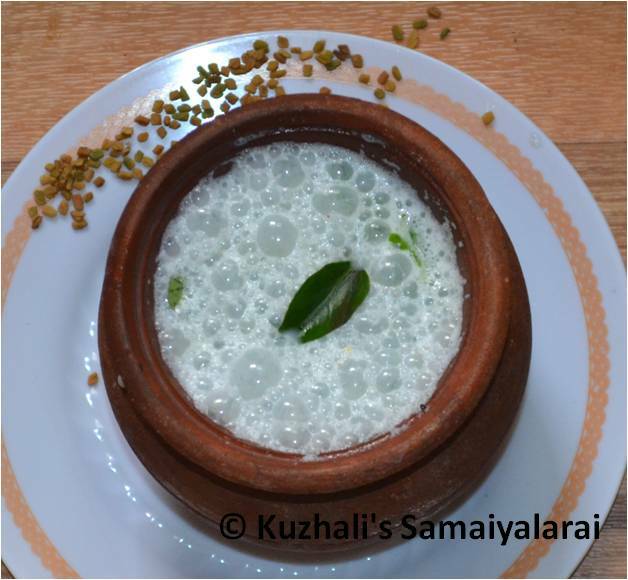 Generally idly will be prepared using the fermented batter made using steamed rice (puzhungal arisi/idly rice) and urad dhal. There are few important poits we need to consider and follow to make soft idlys. 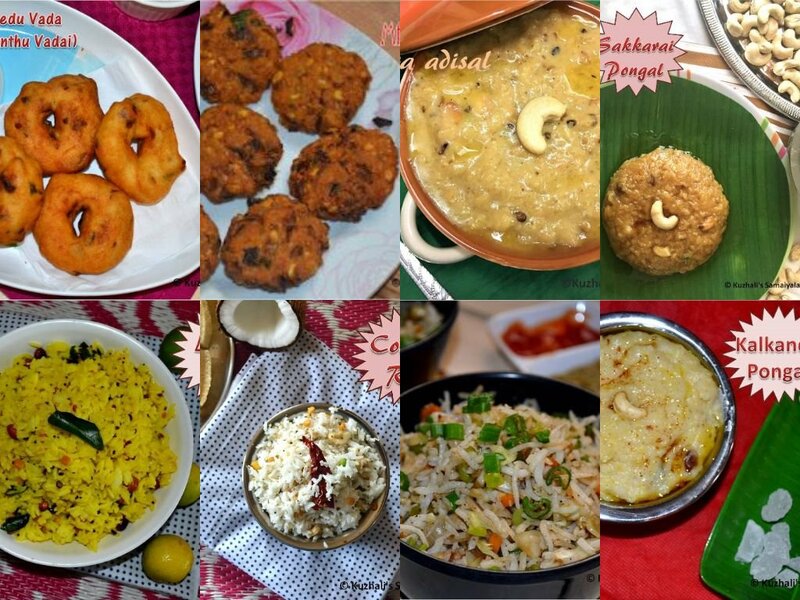 Nowadays peple are using various additional items like poha, cooked rice,baking soda etc., to get soft idly. 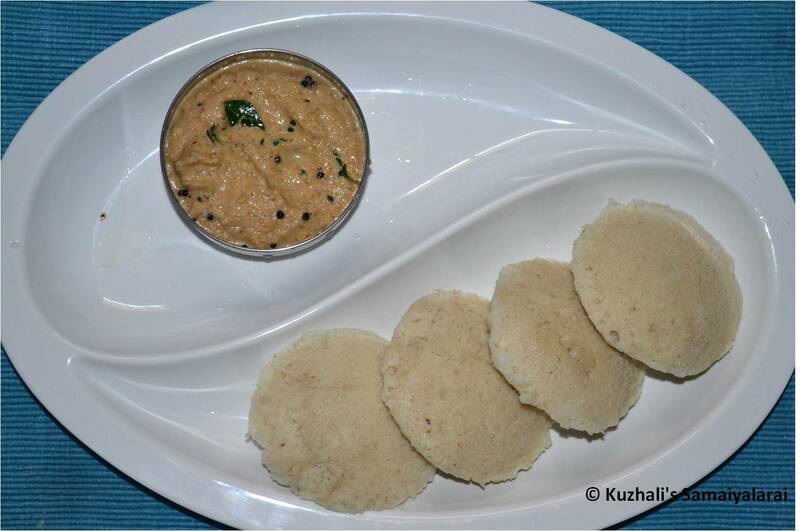 But as per my personal opinion, just good quality idly rice and urad dhal is enough to get the softest idly. if you want you can add the fenugreek seeds too. Another important thing to make soft idlys is grinding. Grinding with enough water and grind into perfect texture is very important and also soaking for enough time. Ok now coming to this kambu idly. 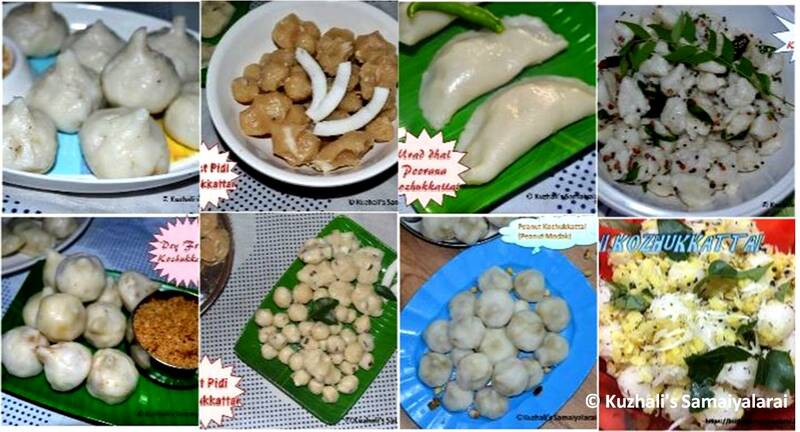 Kambu idly is nothing but the same thing as our normal idly. 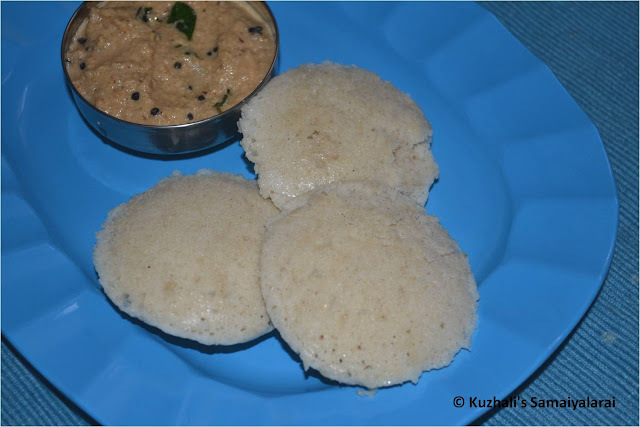 But using Pearl millet instead of half of the rice we use for the normal idly. 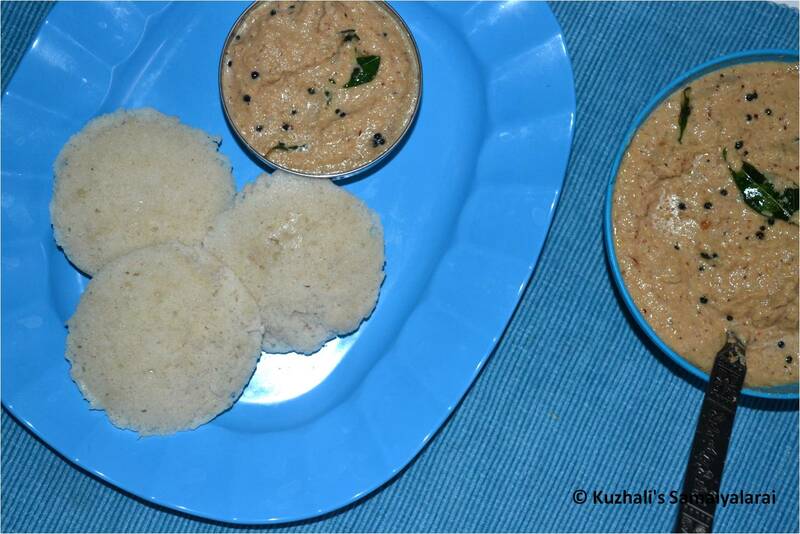 Here I am giving two method of making kambu idly. 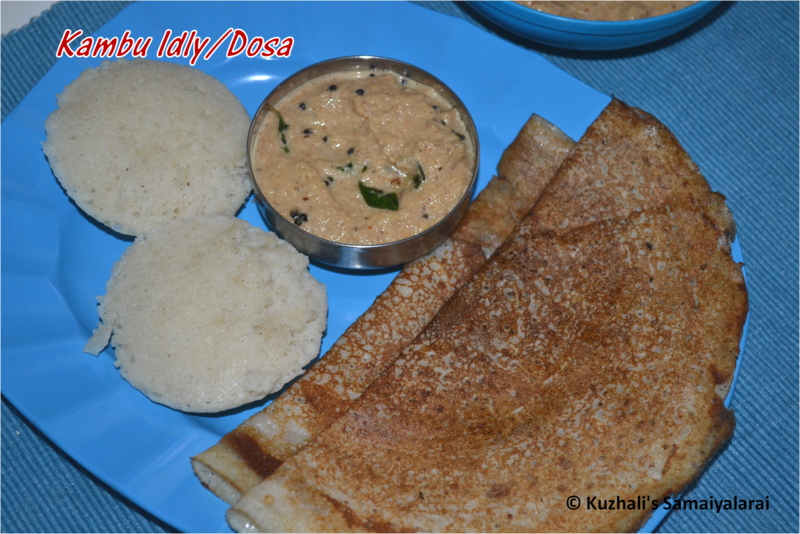 With the same batter you can make dosa also. Yes, these two methods will definitely gives good soft idlys. Like our normal idly batter we have to ferment this too for overnight or for minimum 7 hours. 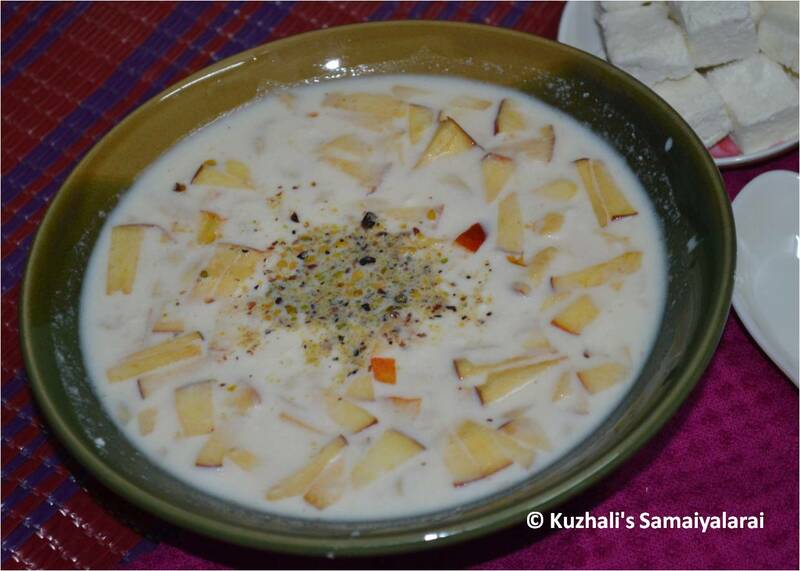 Soak the rice, pearl millet, urad dhal and fenugreek (if using) in water separately for minimum 5 hours. Then grind the pearl millet and rice together into fine paste by adding enough water little by little. The rice batter needs not to be very smooth. Then grind the urad dhal also into very fine paste and fluffy. While grinding add water little by little. 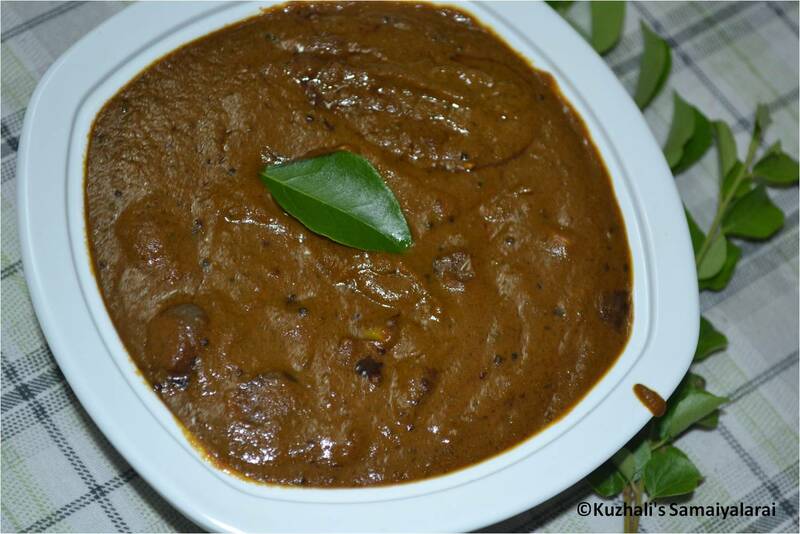 If you are using fenugreek seeds then grind it along with urad dhal. Then mix both the batter (rice-pearl millet and urad dhal) with hands well. Add required salt and mix until both the batter incorporates well. Let the batter to ferment for minimum 7 hours or overnight. Use little big vessel to ferment the batter, as the batter will raise more while fermenting. 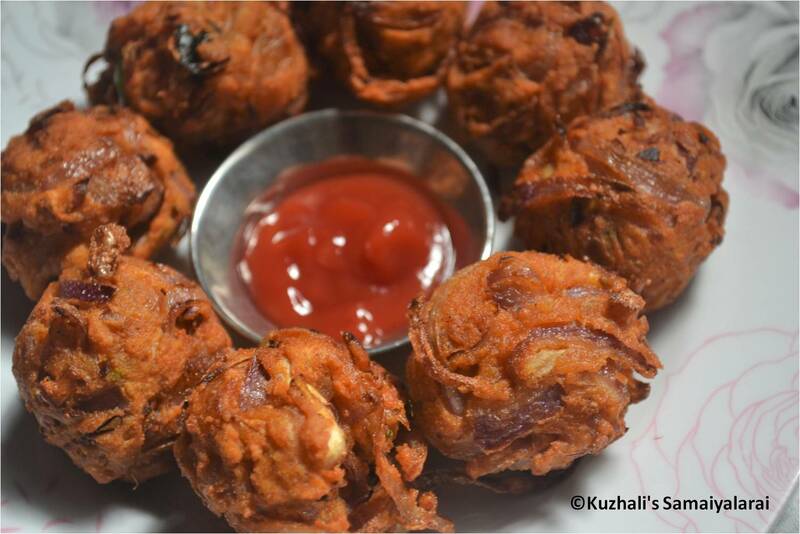 Grease the idly plate with oil and pour the batter in the holes and cook in steam for minimum 10 minutes. 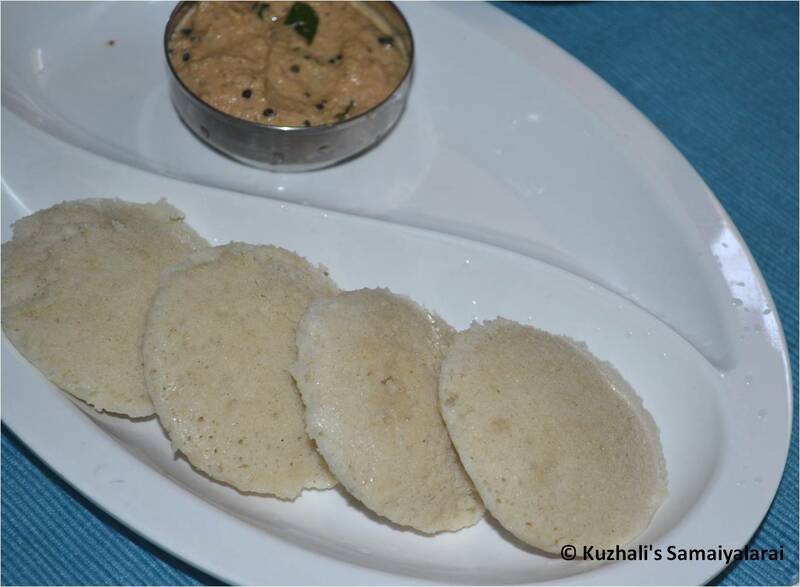 Or put the wet cotton cloth on the idly plate and then pour the batter on the holes. After 10 minutes check the doneness by inserting your wet finger or even touch the top of the idly. 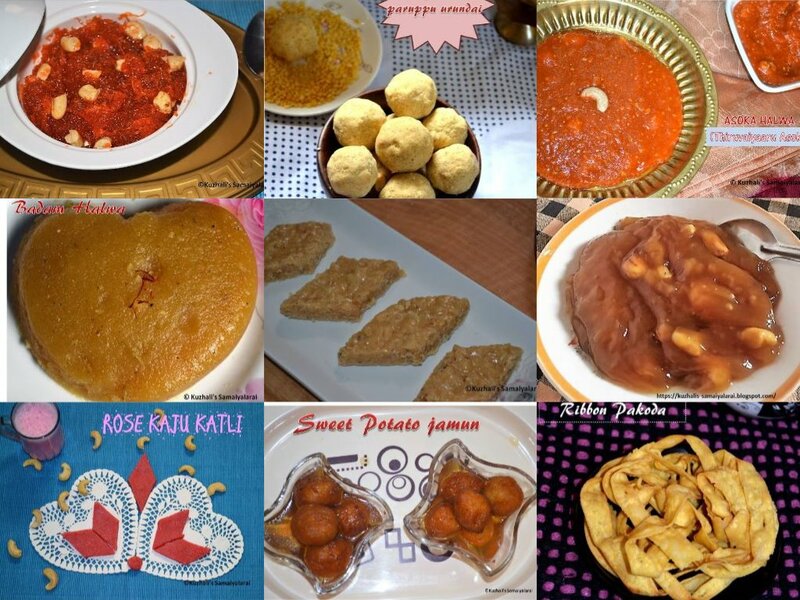 Ifit cooked fully, it will not stick on your finger. Unmold the idlys with a wet spoon (dipped in cold water). If you used cloth, just invert the idly mold on a plate and then sprinkle some water on the cloth and then remove the cloth. 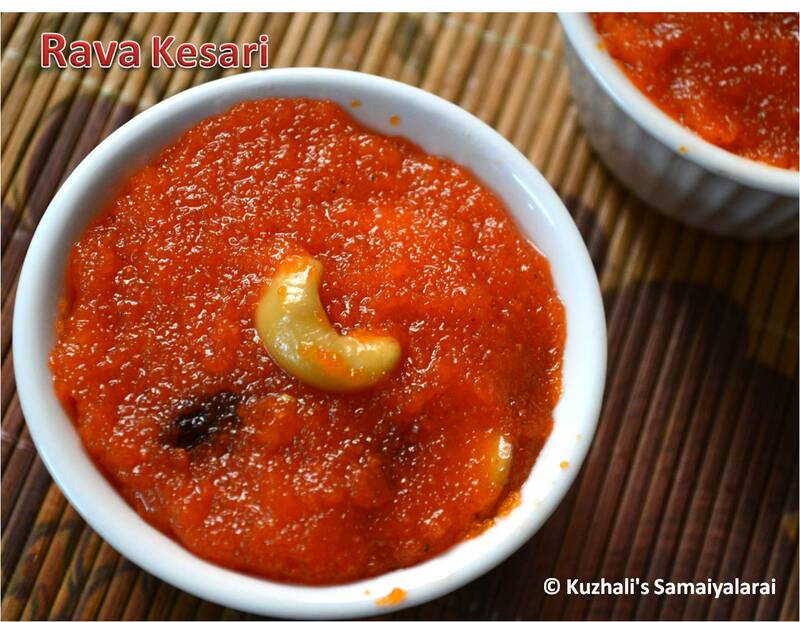 Serve hot with any chutneys or sambhar or gothsu. Wet grinder is best to grind the batter. Don’t use water at a go. Just sprinkle water little by little and grind. While making idlys it is better not to mix the batter after fermentation. I usually take the batter from the sides of the vessel (please refer the below picture), because the batter on the top will be so fluffy and it will give soft idlys. 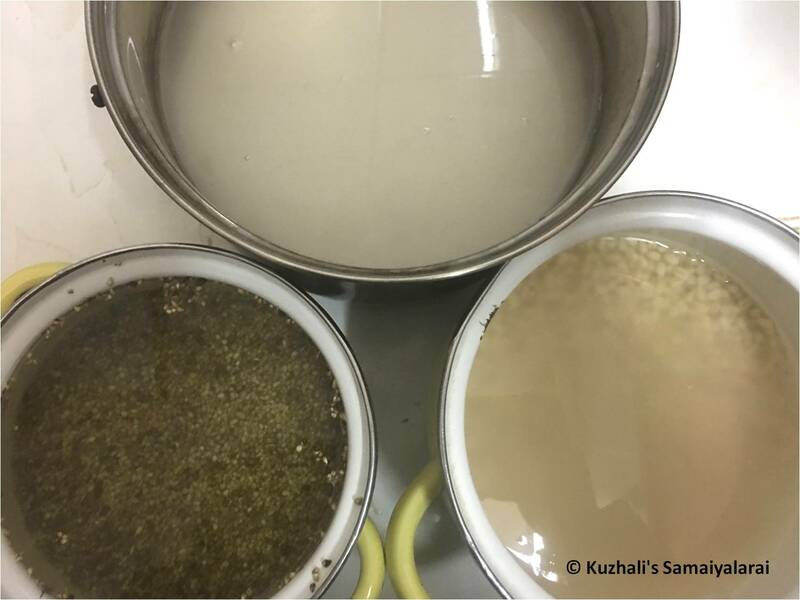 The batter in the down side of the vessel will be having more rice and less urad dhal batter, so you can use that to make dosa. Generally the urad dhal have to be grind till smooth and fluffy and the rice batter will be little (very little) grainy, not so smooth. While unmolding the idlys from the idly plate be sure the spoon should be wet and the idly plate have to be cooled down a little, because if you take out the idlys while hot it may break and little sticky some times. After cooled down a little it will come out perfectly. If you want to take the idlys immediately and piping hot, then it is better to use the muslin cloth on the idly plate. After cooked just invert the idly plate and then sprinkle some cold water on the top of the cloth and then remove the cloth carefully. To make dosa you can dilute the batter with little water and can make dosas also. Grind the urad dhal also into very fine paste and fluffy. While grinding add water little by little. 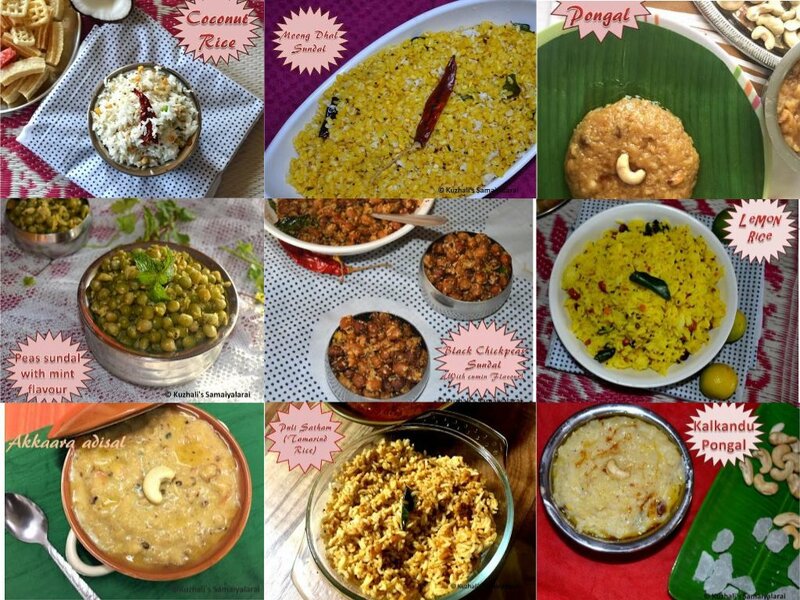 If you are using fenugreek seeds then grind it along with urad dhal. Then grind the pearl millet and rice together into fine paste by adding enough water little by little. The rice batter need not to be very smooth. Then mix both the batter (rice-pearl millet and urad dhal) with hands well. Add required salt and mix until both the batter incorporates well. After 10 minutes check the doneness by inserting your wet finger or even touch the top of the idly. If it cooked fully, it will not stick on your finger. Unmould the idlys with a wet spoon (dipped in cold water). 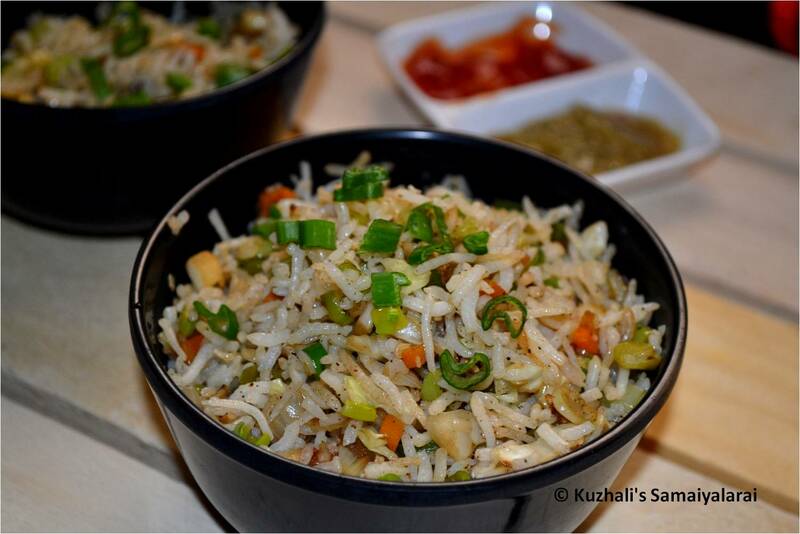 Soak the rice, urad dhal and fenugreek (if using) in water separately for minimum 5 hours. Then grind the rice into fine paste by adding enough water little by little. Then mix both the batter (rice and urad dhal) with hands well. Then add the pearl millet flour and mix well. Add required salt and mix until the flour and ground batter incorporates well. Let the batter to ferment for minimum 7 hours or overnight. 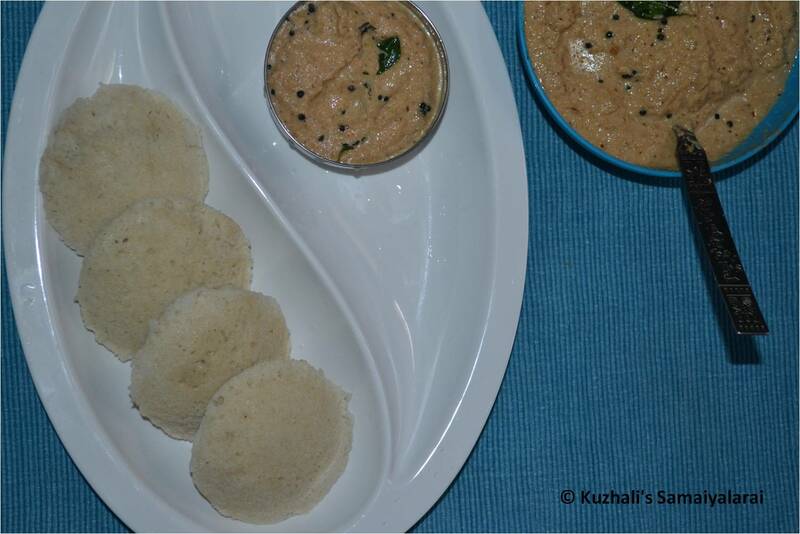 Use bigger vessels with enough space as the batter will raise more than our normal idly batter. If you used cloth, just invert the idly mould on a plate and then sprinkle some water on the cloth and then remove the cloth. It is better to make the ground batter little thin than normal by adding more water, because while adding the dry flour it will absorb the water and the idly batter becomes thick. Then grind the rice into fine paste by adding enough water little by little. The rice batter needs not to be very smooth. Then grind the urad dhal also into very fine paste and fluffy. While grinding add water little by little. If you are using fenugreek seeds then grind it along with urad dhal.